I am super excited to write this sponsored post on behalf of Rite Aid and Tugaboo Diapers. I will always write about items that I would use myself, and all opinions are my own. So when I was contacted to try out Tugaboo Diapers by Rite Aid, I was eager to check them out—we have never tried them before, but I have heard that they have been revamped lately, with recently increased leakage protection and faster absorption. After all, diapers are a really, really big deal in my house. Yes, my oldest is potty trained and has been since before the twins were born, but oh my goodness. 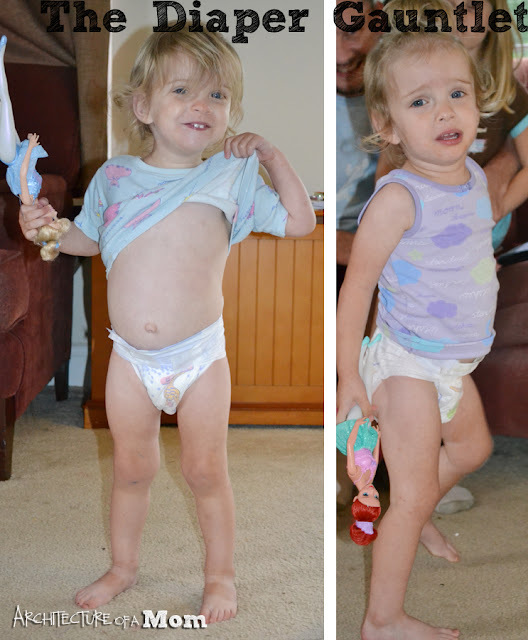 Do you know how many diapers a child uses? It’s rather scary. In the first two years, I’ve seen numbers ranging from 4700-7000 around the internet. I’m going to stick to around 5,000, since it’s a nice round number (and it’s a number that is slightly less likely to make me cry). That means that my twins have gone through over 10,000 diapers so far. And we’re just starting to think about potty training, so I still see quite a few diapers in my future. But besides the quantity of diapers we go through in a day, the quality is just important—if not more. You don’t want leaks or blow outs, and you definitely want hypoallergenic. But the real test…it’s the baby test. Keep in mind, my “babies” don’t lie still any more. They are two…and two year olds move around…a lot. Jerry Seinfeld once said, “Having a two-year-old is kind of like having a blender, but you don’t have a top for it.” My husband response: “If you have twin two year olds, it’s like having 10 blenders with no tops, because they feed off each other.” So as they run around, mess with their diapers (anybody else find your child without a diaper on their rear at the end of naptime? ), and basically create the perfect gauntlet for a diaper to run to prove itself for me. Yeah, they wouldn't stand still so that I could take a picture of them together. Perfect blender example. At least one of them wanted to show off her cool new diaper! 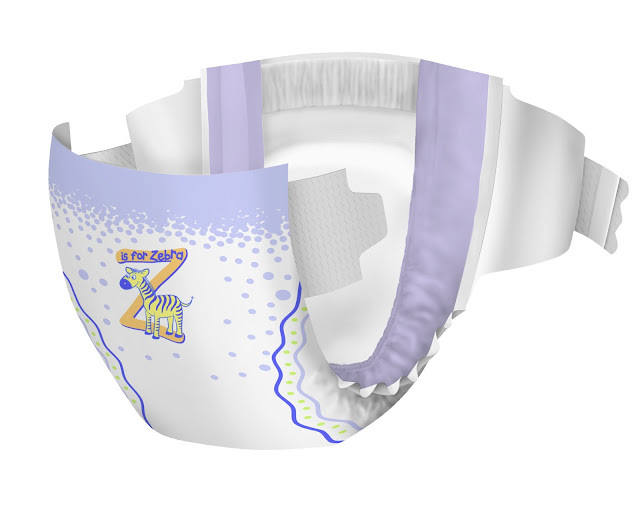 The soft stretchable waist and side panels seem comfortable to them—and they are vocal when they don’t like the fit of a diaper...trust me on that one. And I was excited to find no leaks on our little test run! We went overnight...and still no leaks on either girl! They're definitely a good value....from someone who has recently used many thousand diapers in the last couple of years. You get comfort, fit, and absorption for a great price! 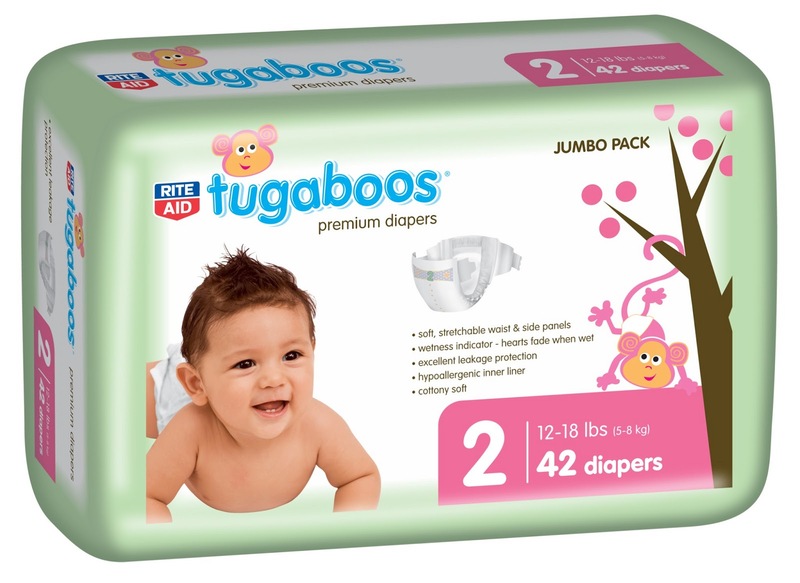 And if you need diapers right now...I noticed in my local sale paper that Tugaboos are on sale: buy one, get one 50% off, through Saturday, June 15,2013! 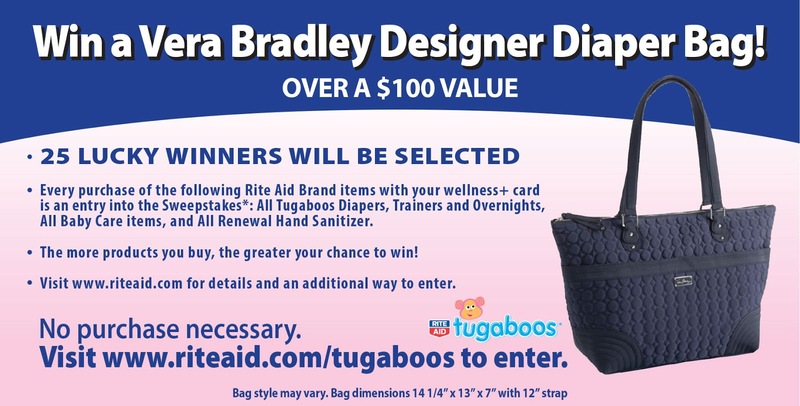 Add that to the awesome Vera Bradley giveaway…and I think that’s a win-win!